When you see Maze Runner: The Death Cure in IMAX this month, you’ll experience more of the action than in any other format. The much anticipated conclusion to the Maze Runner trilogy will be specially formatted exclusively for IMAX. This means the entire film will be presented in an expanded IMAX 1.9:1 aspect ratio to fill more of the screen – allowing audiences to see an impressive 26% more image exclusively in IMAX! Experience Maze Runner: The Death Cure the way it was intended. To reserve your seat today, click HERE. 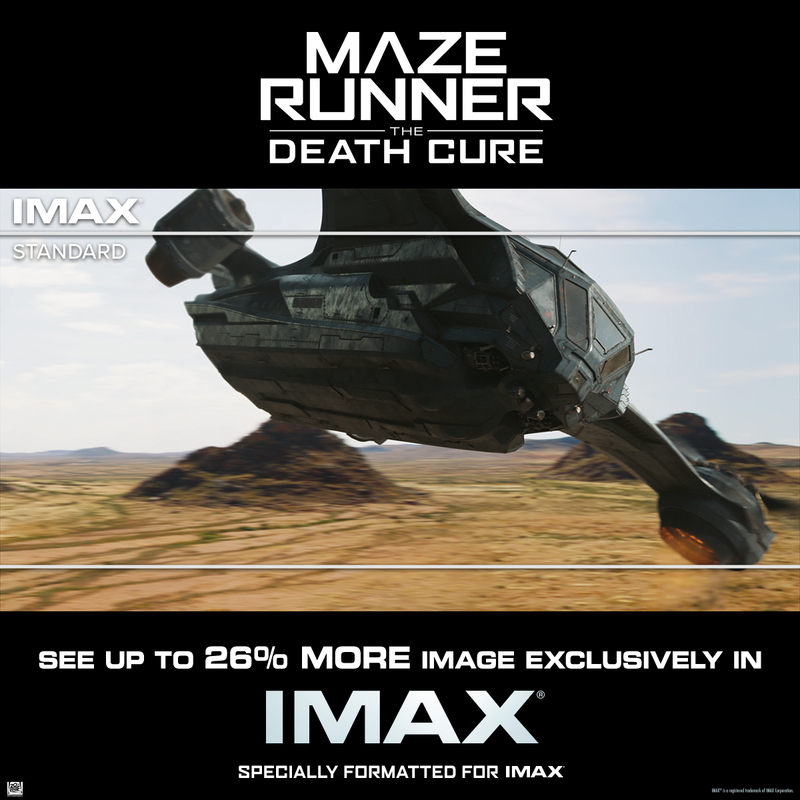 Maze Runner: The Death Cure will be digitally re-mastered into the image and sound quality of The IMAX Experience® with proprietary IMAX DMR® (Digital Re-mastering) technology. The crystal-clear images, coupled with IMAX's customized theatre geometry and powerful digital audio, create a completely immersive environment that will put audiences side-by-side with the Gladers as they take on the dangerous mission to finally discover their truth.